With all of this warm weather we are having, it seems that winter is long gone! But I still have so many Brussels sprouts in the refrigerator they are making an appearance in every meal. This is sort of like the Brussels sprouts side dish from my birthday dinner last year. Make the quinoa. Chop the onion and saute in olive oil, salt and pepper. 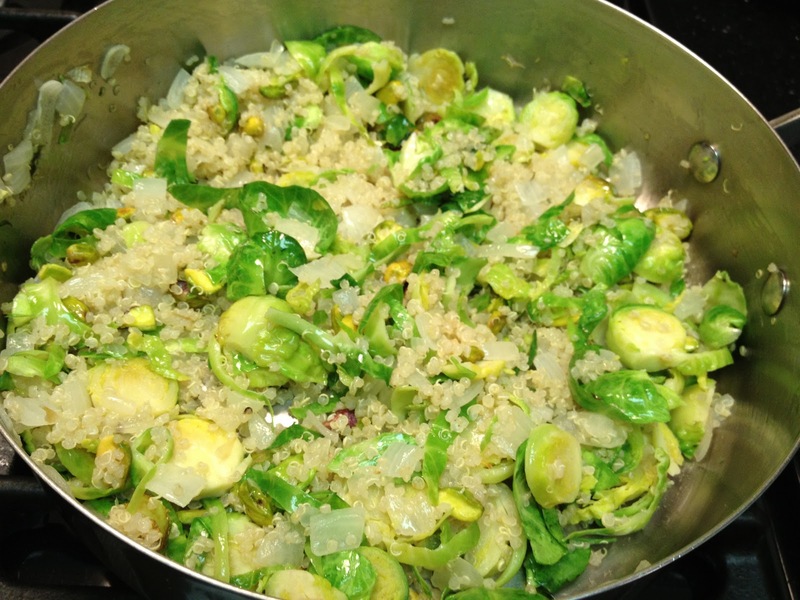 Slice up the Brussels sprouts so they are kind of thick (3 or 4 pieces from each one) and add to the to onions. Add the quinoa and the nuts and mix well. Enjoy!